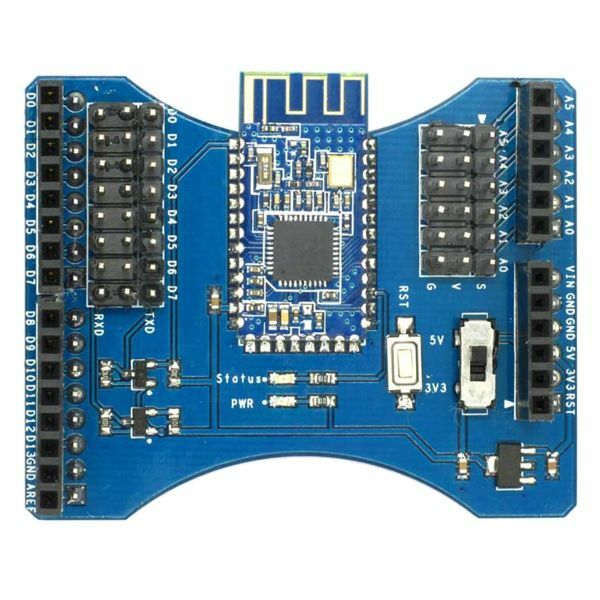 The BLE Bluetooth Low Energy Shield allows your Arduino to perform wireless communication with BLE capable Bluetooth Smart devices. BLE is an advanced Bluetooth 4.0 technology designed to reduce energy consumption. Conserving energy is always a good idea for battery operated mobile robots. Bluetooth Low Energy is often referred to as Bluetooth Smart and is not backward compatible with Bluetooth Classic. The Bluetooth 4.0 specification allows either Low Energy or Classic mode or both. Be sure to verify that your device supports the Bluetooth Low Energy mode for compatibility with this Arduino Shield. 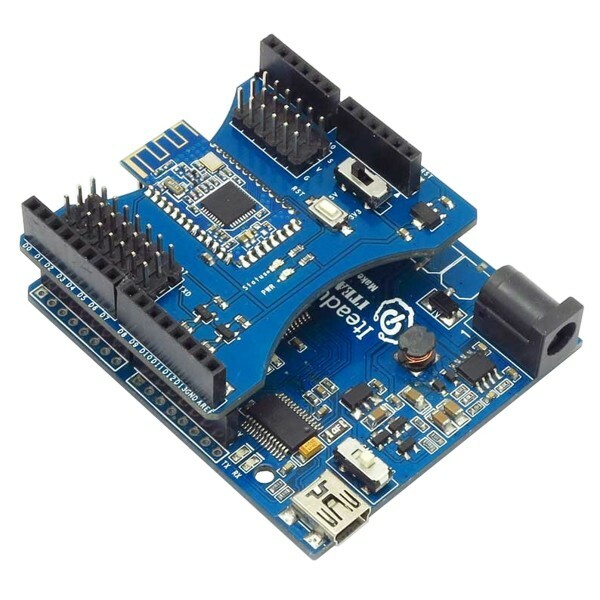 This Arduino Shield communicates over Bluetooth using a serial connection. 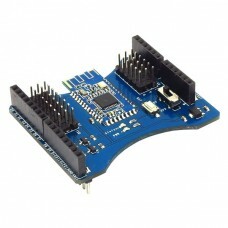 Jumpers are available to choose from a selection of Arduino pins to be used as the serial RX/TX lines. Another jumper allows the shield to work with 3.3V and 5V Arduino compatible microcontrollers. A Bluetooth connection status LED indicator and reset button assist with diagnostics and debugging. 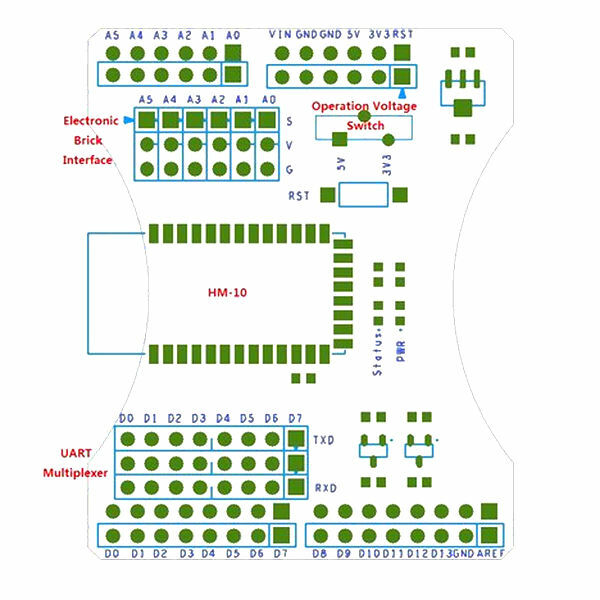 A collection of handy 3 pin SVG Signal Voltage Ground connectors are present for 6 analog inputs. Female headers provide access to Arduino pins and allow stacking additional shields.